Astor helps women look their best, with fun, style and natural elegance. Astor is a colorful, stylish color brand designed for you that helps you create your own personal style. Astor has been creating high-quality cosmetic products for 60 years. The brand name comes from the Astor family, who founded New York’s famous Waldorf Astoria hotel. Successful top model Heidi Klum is the new face and artistic advisor of Astor. 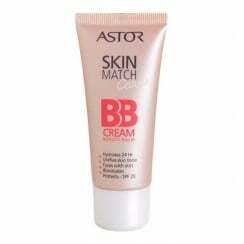 Buy Astor at High Street Brands 4 Less.com today.